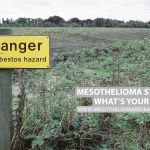 Mesothelioma is a rare but aggressive type of cancer that occurs in the mesothelial cells due to exposure to asbestos. Asbestos is natural mineral was used for a century in industries such as construction, shipbuilding and manufacturing due to its heat resistance, tensile strength, and insulating properties. However, it has been proven to be toxic, since asbestos fibers are released into the air when the mineral interacts with other materials. These fibers become trapped in the body, causing the formation of tumors in different locations. 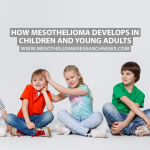 Pleural mesothelioma is the most common type of the disease, accounting for about 75% of the cases, and it refers to tumors in the lining of the lungs, or pleura. 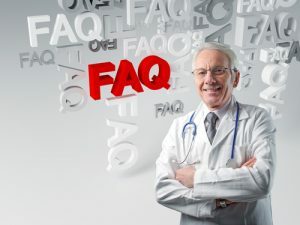 Peritoneal mesothelioma is diagnosed when the disease is first discovered in the peritoneum, which is the lining of the abdomen, while pericardial mesothelioma refers to the disease in the lining of the heart, the pericardium, and testicular mesothelioma occurs in the tunica vaginalis testis. 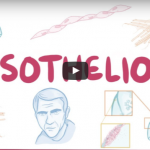 There is currently no cure for mesothelioma, but there are treatments to help ease the symptoms. Chemotherapy, radiation therapy, and surgery are among them. Extrapleural pneumonectomy (EPP) is one of the surgical options for the treatment of patients who suffer from pleural mesothelioma or other diseases. It was performed for the first time during the 1940s in a patient with tuberculosis and, for years, it was associated with high mortality. However, the procedure has greatly improved, leading to encouraging results. Before the surgery, the patients undergoes a series of exams to assure the strength of the lungs and health of the heart, since a major surgery has great impact on the body, as well as a bone scan and CT scan of the abdomen and head to confirm that the cancer has not spread to other locations rather than the lungs. Patients are asleep under general anesthesia, which means that they don’t feel anything, and the surgeon makes a small incision, about nine to 10 inches long, in the front or side of the body. 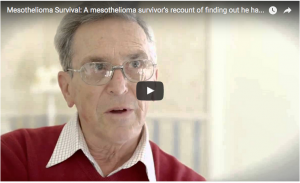 Then, the surgeon used to incision to examine the tissue affected by mesothelioma and remove as much as possible. In order to do so, the lung affected, the lymph nodes and parts of the pericardium, diaphragm, and parietal pleura are resected. Extrapleural pneumonectomy is an option particularly in early stages of the disease, when the cancer has not metastasized, since it enables the removal of great amounts of cancerous tissue. 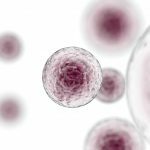 However, the vast majority of the patients are not diagnosed until the stages III or IV of the disease and are no longer candidates for the procedure. When compared to other types of surgical procedures for patients with pleural mesothelioma, extrapleural pneumonectomy is particularly effective in removing tissue affected by cancer. Despite the fact that extrapleural pneumonectomy was once the first line of treatment and standard surgery for patients with pleural mesothelioma, that is no longer the case, since pleurectomy/decortication (P/D) is a much less invasive procedure. Extrapleural pneumonectomy offers a median overall survival of 12 to 22 months, compared with 13 to 29 months with P/D. Despite the encouraging results of extrapleural pneumonectomy, there are also numerous risks associated with the procedure. Death during or shortly after the surgery is the first one, with a death rate of 6.8 percent, according to a 2013 review of seven studies published by the same center. Other major problem that may occur is cancer recurrence, which occurs in 80% of the patients with surgery alone, but the percentage decreases to 13 percent when radiation therapy is performed following the surgery. 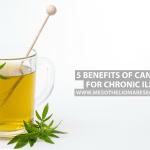 Additional risks include wound infection, pneumonia, fluid accumulation in lungs, blood clot in the lungs, pus accumulation in pleural space, heart problems like cardiac arrhythmias or heart attack, abnormal connection between the cut bronchus and pleural space, and kidney failure. Due to these risks, patients should be aware of signs like fever, chest pain, cough, shortness of breath, as well as redness, swelling, pain or blood in the incision site. Recovering from an extrapleural pneumonectomy is not an easy process and patients usually stay in the hospital for six to 15 days, being closely monitored in the first hours after the surgery. During the first days, patients use respirators to help them breathe, as well as drainage tubes to help prevent the buildup of fluid. Since the use of the ventilator can cause anxiety and the patient underwent an aggressive procedure, it is likely that they will receive medication that keeps them drowsy. After the removal of the ventilator, patients fell less sleepy and will be asked to cough. Before going home, patients are visited by a respiratory therapist, who will help them use an incentive spirometer, which is a device that helps breathing by exercising the lungs and alveoli. Recovery takes time and while still in the hospital, patients are assisted to start normal activities like sitting or walking. Patients are recommended to rest and wait at least 3 months before going back to work. 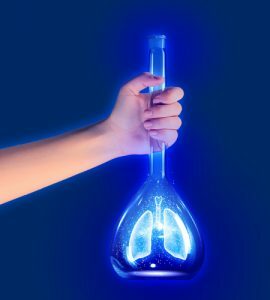 The remaining lung needs to perform the lung functions that used to be divided and during the first six months, it is normal to experience shortness of breath. Engaging in light exercise can help regain strength and decrease the risk of blood clots.